Multi-architectures: Arm, Arm64 (Armv8), M68K, Mips, Sparc, & X86 (include X86_64). Implemented in pure C language, with bindings for Crystal, Clojure, Visual Basic, Perl, Rust, Haskell, Ruby, Python, Java, Go, .NET, Delphi/Pascal & MSVC available. Native support for Windows & *nix (with Mac OSX, Linux, *BSD & Solaris confirmed). High performance by using Just-In-Time compiler technique. Support fine-grained instrumentation at various levels. Distributed under free software license GPLv2. Find in this BlackHat USA 2015 slides more technical details behind Unicorn engine. Unicorn is based on QEMU, but it goes much further with a lot more to offer. We are excited to announce version 1.0.1 of Unicorn Engine! The source code & precompiled binaries are available in the download section. See documentation for how to compile and install Unicorn. A quick tutorial on how to program with Unicorn in C & Python can be found here. Community also provide independent bindings for Pascal, Rust & Perl. We are very happy to announce version 1.0 of Unicorn Engine! Huge thanks to all the heroic contributors who worked hard for over 1 year to make this release possible! 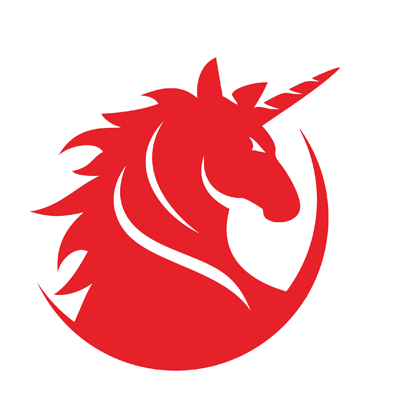 We are very excited to announce the first public release, version 0.9, of Unicorn Engine! We would like show our gratitude to the beta testers for bug reports & code contributions during the beta phase! Their invaluable helps have been tremendous for us to keep this far. Unicorn aims to lay the ground for innovative works. We look forward to seeing many advanced research & development in the security area built on this engine. Let the fun begin! We are excited to announce that the beta-test phase of the Unicorn engine has officially kicked off! The plan is to run this testing phase in few weeks, then if the code is considered good enough, version 1.0 will be released to public immediately. We gave a presentation on Unicorn engine at the BlackHat USA 2015 security conference. The talk went well, and we got nice feedbacks from the audience. The slides is now available in PDF format. Find in the presentation more details on the design & implementation of Unicorn. We would like to improve the code quality before the official release. Therefore, Unicorn project is now calling for beta testers! Are you are willing to help to test Unicorn to find & clean bugs? Can you code? You do not need to be an excellent coder, but writing some tools using Unicorn is the only way to find bugs at this phase. If the answer is "Yes" for both questions, then email us with some self-instroduction on why you are interested, and how you can help. Unicorn will be released soon with full source code - in GPL license - after this short beta phase. We are working to release more contents & prepare for our BlackHat USA 2015 talk. Meanwhile, check out a sample code in Python and C language to see how Unicorn can be useful for a real problem. Our presentation at BlackHat USA will be on August 5th, 10:20 - 11:10, in room "South Seas IJ". See you there with some cool Unicorn stickers, soon! We are happy to launch the website for Unicorn CPU Emulator! Also find here the mailing list and twitter address where we will update information on the project.